QODBC Online works by accepting SQL commands through the ODBC Interface, then converting those calls to qbXML navigational commands within the QuickBooks Online API and returning recordsets that qualify for the query results. This driver is not a Client/Server product, and it navigates the QuickBooks API directly. 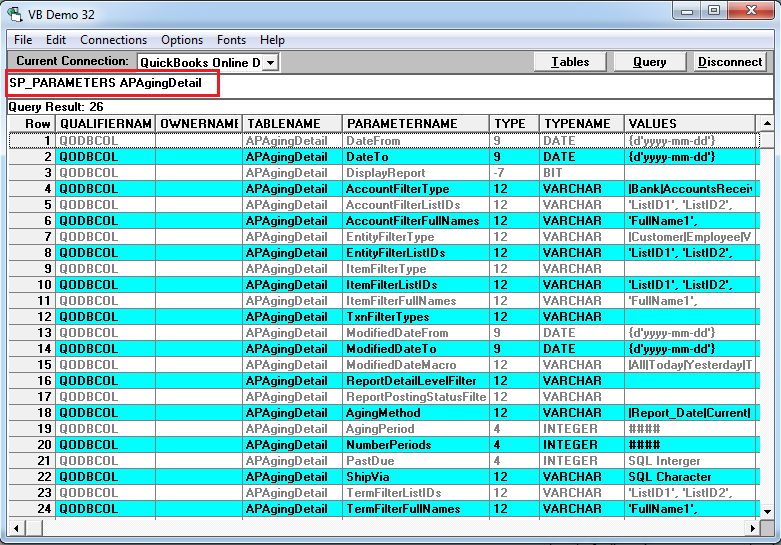 QODBC also supports the extracting of all the QuickBooks Online Reports through the ODBC Interface. 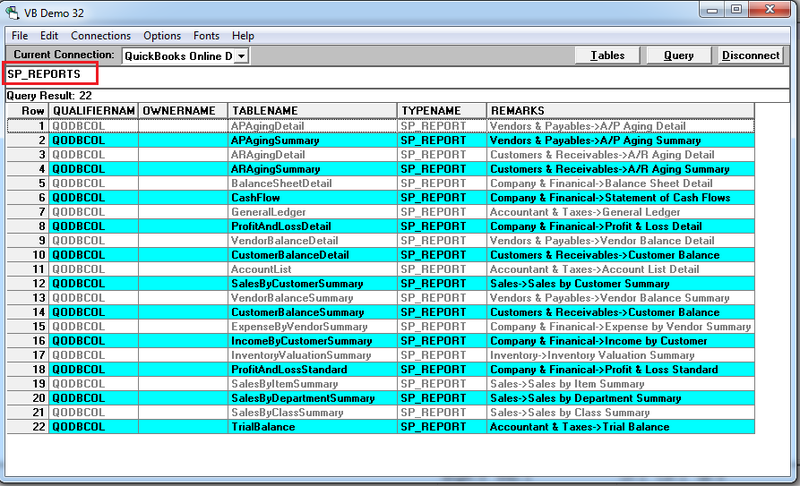 To know the list of Reports available uses the command SP_REPORTS. 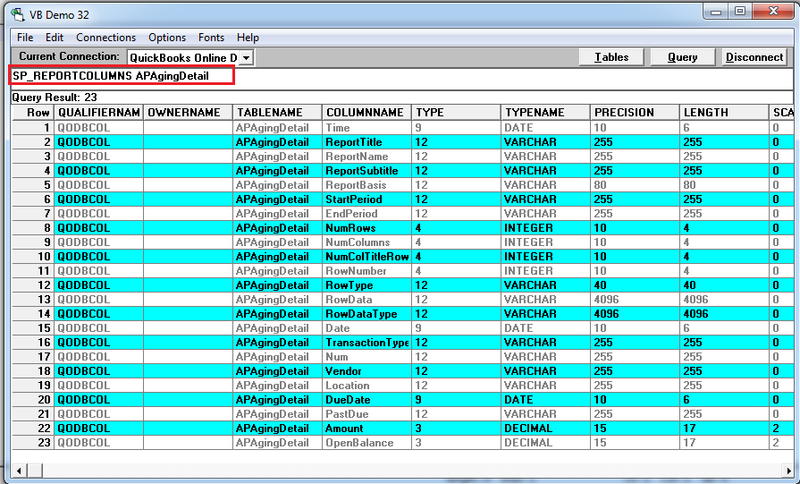 Use SP_PARAMETERS to list all the parameters available for a given SP_REPORT. The VALUES column lists available values that can be used with the parameter. Stored Procedure reports (sp_reports) can also be used by Microsoft Excel (or other MS Office products) to bring any number of QuickBooks Online reports directly into a spreadsheet by using Microsoft Query (shown in this example doing a Balance Sheet Detail report).